Anne Marie Moss was one of the greatest living jazz and popular singers of her time. She was born in Toronto 6 Feb 1935. Except for lessons in breath control from Portia White in 1955, she did not study formally, but she was an excellent voice and jazz teacher. In the 1950s she appeared on CBC TV variety shows and toured 1956-8 in Canada and the USA with the saxophonist Don Thompson. In 1959 she joined Maynard Ferguson's big band in the USA, where she also sang with the Count Basie Orchestra and replaced Annie Ross briefly in the jazz vocal trio Lambert, Hendricks & Ross. In 1961 she married, and began singing with, the US singer-guitarist Jackie Paris. The two appeared together until 1980 in nightclubs across the USA and made the LP Live at the Maisonette (Different Drummer 1004). 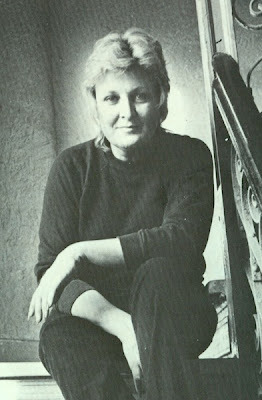 Moss resumed her solo career in 1980, recording the album "Don't You Know Me?" (Stash ST-211, issued in 1981) appearing in concert, nightclubs, and at colleges. She performed on several occasions in Toronto during the 1980s. Moss taught voice privately and, beginning in 1987, at the Manhattan School of Music, New York into the mid 90's.